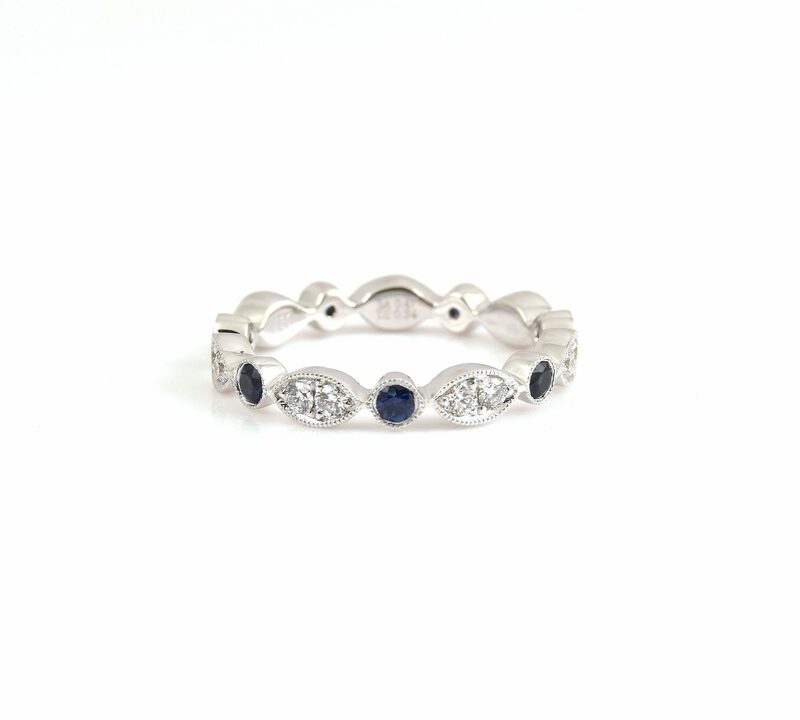 An 18K white gold Sapphire and diamond full eternity ring. 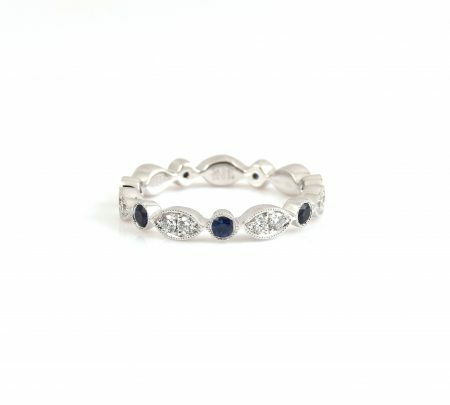 Bezel set with 7 round Sapphires and 14 round brilliant cut diamonds set in a Marquise shape setting finished with mill grain edges. Love the style but prefer all diamonds? We have the solution! Follow the link to see our full diamond option here.